Q: What is an original UPC? 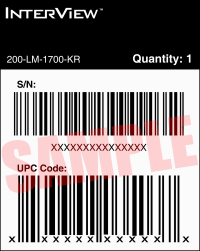 A: The original UPC or product barcode generally consists of 12 digits. 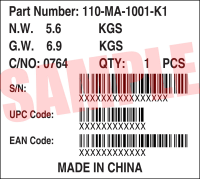 It can be found on the bottom, side or inside flap of the product packaging. Some examples are shown below. Q: I have lost my receipt. What do I do? A: An original or copy of your receipt may be required to submit for a rebate. If you paid with a credit card, most retail stores should be able to reprint your receipt if you know the date of purchase. Q: Can I send a copy of my receipt and keep the original? A: You will want to refer to the instructions specified on the rebate form. Each rebate may have different requirements. Q: What is a postmark date? A: The postmark date is the day the Post Office processes your envelope. Mail is not processed on Sundays. You will not qualify for the rebate if it is not postmarked by the date specified on the rebate form. Q: My rebate is expired. If I send it in late, can I still receive the rebate? A: Rebates have specific valid date ranges for when a product must be purchased and postmarked. If your purchase was made outside of the qualifying date range or your request was postmarked after the last postmark date stated on the rebate form, you will not be eligible for the rebate. Q: What if I bought multiples of a product with a rebate available? Can I submit the rebate for all of them? A: Each rebate will have different limits on the number of times you can submit. Look on the rebate form for the specific rules for your rebate. Q: I checked the status of my rebate and it says I'm invalid. What does that mean? A: If your rebate has an invalid status, it may be due to several reasons such as missing information or proofs of purchase, incorrect purchase date or postmark date. You will receive a non-compliance notification explaining the reason why your submission is invalid. Q: Do I have to provide an email address? A: An email address is not required to receive your rebate. However, it does provide us a way to communicate with you regarding the status of your rebate. Email addresses are always kept confidential. Q: Why do I have to register my rebate request online? A: By registering for your rebate online you will ensure accurate and timely processing of your rebate. However, any required proofs of purchase must still be mailed or uploaded to the website¹ in order to properly validate your claim.